Till Yesterday, Mumbai Indians were in contention of reaching 16 points that appears to be the cut off for semifinalists. But after their loss in the 40th match of the IPL 2014 and completion of their 10th match, they are practically knocked out of the tournament. They may win remaining 4 matches but 14 points will not be enough. In between all the teams have completed 10 matches each and before Rajasthan Royals and Delhi Daredevils match at Ahmedabad marks a 2 day break of IPL 2014 due to vote counting in India, with DD and MI knocked out, Kings XI and CSK almost in, the contest for the remaining two position is left between four teams. Unless, some catastrophe strikes top 5 teams, Rohit Sharma’s MI has no chance to reach the knockouts. Rajasthan Royals is still at 12 but KKR with a win has reached 10 points. Sunrisers and RCB are 8 points each and both cannot afford to blink their eyes. Rajasthan Royals still needs two wins from four games to reach 16 points, while KKR needs 3 wins from 4 games for the same number of points. Overall RCB appears a better candidate right now to challenge RR and KKR for a position in top four than Sunrisers Hyderabad. 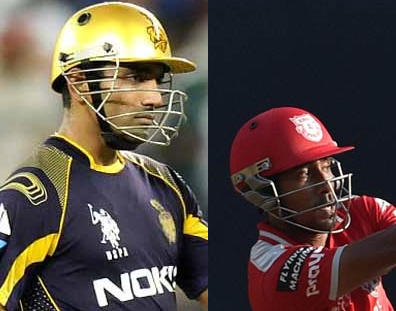 Except Chennai Super Kings, none of the other champions have fared well in the next edition. Mumbai Indians just followed the same trend as it lost 7 of the 10 matches and now even if they win remaining 4 matches they can earn maximum 14 points, which is not enough to proceed to the knockout round. They are the defending champions. They have reached the semifinals on four occasions and they have won the CL T20 Tournament in South Africa. Still like 2008 and 2009, 2014 has seen a very poor performance from them. In 2008 they won and lost 7 matches each. 2009: They won 5 and lost 8, while one was abandoned. 2010: They won 11 and lost 5 reaching the semifinal. 2011: Won 10 lost 6 and reached knockout. 2012: Reached knock outs with 10 wins 7 losses. 2013: Won the championship winning 13 and losing only 6 matches. Despite having Rohit Sharma, Pollard, Malinga, Harbhajan Singh, Pragyan Ojha and Corey Anderosn, MI has been knocked out.